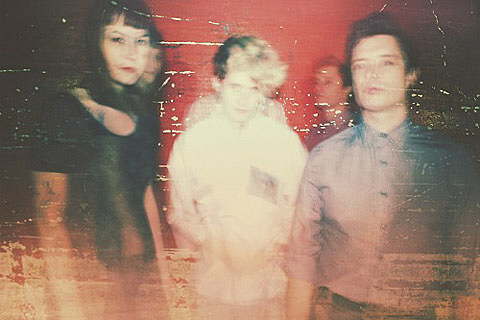 Seattle band Orca Team broke up in late 2012, with frontman Leif Anders forming the short-lived Week of Wonders. Anders moved to Brooklyn last year and now has a new band, Semi Femme. Where both Orca Team and Week of Wonders put a black turtleneck on sunshine pop, Semi Femme embrace the dark side, with minor chords, dissonant melodies and driving postpunk basslines. You can stream their debut EP, Cotillion, below. 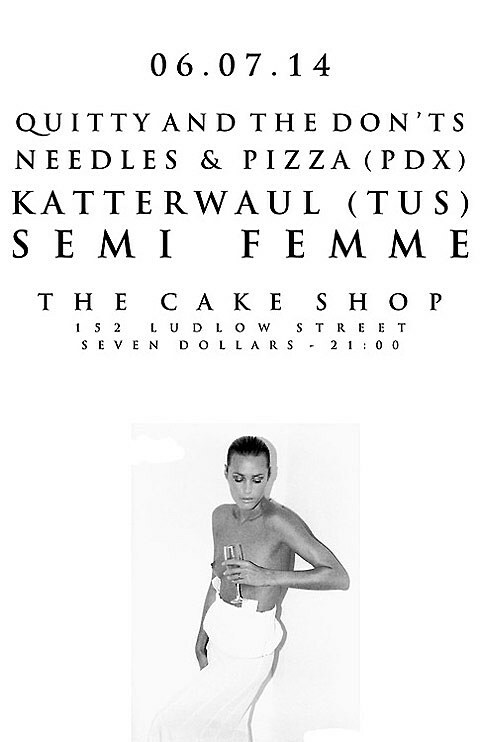 Semi Femme play their first live show on Saturday (6/7) at Cake Shop with Quitty & the Don’ts, Portland’s Needles & Pizza, and Katterwhaul. 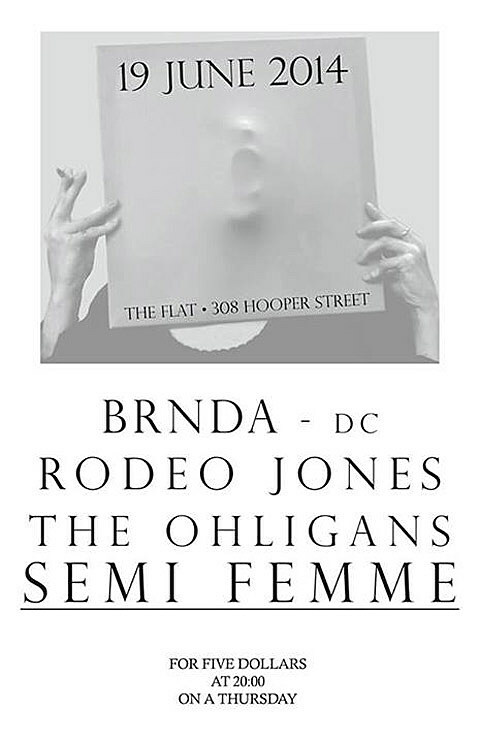 The band have a couple other shows lined up as well: The Flat on June 19 with Rodeo Jones, Ohligans, and BRNDA; then they’ll open for Ought and Dub Thompson at Baby’s All Right on July 11 (tickets); and then Death by Audio on July 31 with Miami Dolphins, Advaeta and Killer Bob. 09/20/14 – RALEIGH, NC – NICE PRICE BOOKS with See Gulls and TBA. 09/21/14 – BOONE, NC – ESPRESSO NEWS with TBA. 09/25/14 – BROOKLYN, NY – SILENT BARN with Jackie Paper (PHL) and Eastern Hollows.